I spent one frosty week last winter driving through Iceland. Though the landscape was snow-covered, along barren highways, one thing kept popping up: small pitches and training houses, even in the tiniest of towns. And when you think of small towns, you have to reshape your scope to an Icelandic scale. In a country of roughly 330,000 people, a small town may consist of a few houses and one shop. Iceland, a miniscule island nation largely isolated from continental Europe, features one of the lowest population densities in the world. They are the smallest country by population to ever qualify for the finals of the European Championship. By comparison, Albania, the next smallest country in terms of population at the Euros has roughly nine times as many people as Iceland. But just like the greenhouses that dot the Icelandic landscape and have become synonymous with the country, so too do first-rate facilities for young football players to train. It may seem strange, given that the average low temperature in the country's capital city of Reykjavik only reaches above freezing seven months of the year. Or perhaps even stranger considering that these publicly funded spaces were kept afloat even after Iceland suffered a horrific financial crisis starting in 2008. The Economist claimed that, relative to the size of the economy, Iceland's banking collapse eight years ago was the biggest that any country has ever suffered. Those within the Iceland Football Association (KSI) and the country's club teams find nothing strange about these public training facilities, however. According to the KSI, there were 179 full-size pitches in Iceland at the end of 2015 and one full-size pitch for every 128 registered players in the country. This is in addition to the 166 half- and mini-sized pitches throughout the country with artificial turf (six indoor and 160 outdoor). In fact, it may very be those facilities which led to Iceland qualifying for their first ever major finals. "Everybody can see that these pitches are vital to us," Arnar Bill Gunnarsson, the head of football development at the KSI, told Goal . "If we had to cut some losses or cut some money down, it wouldn't be the houses." Gunnarsson says that there is "no doubt" that the current squad, the first to ever qualify for a major international finals, benefitted directly from these public training houses – most of them built after 2000. The surprisingly easy access that players had to training facilities and top-rate coaching allowed them to continue their training regardless of the size of their town or the often-inclement weather outside. According to those within Iceland's football system, it is the country's treatment of their youngsters and the importance that they place not just on development and coaching but also in ensuring equal access for all players that truly set them apart from other nations. "One of the things in Iceland that I really like is that there is equality here. Everybody is allowed to train in football," says Gunnarsson. Long known as a bastion for socialism, few countries have the fundamentals of their society more clearly reflected in their approach to sports. The overhaul began in 2002 when, according to multiple reports, the KSI hired Sigurdur Ragnar Eyjolfsson to be the head of coach education. The focus became establishing a curriculum and ensuring that the country could produce strong, top-level coaches - and it's an approach that is beginning to reap rewards. "It doesn't matter if you're a boy or girl or good or bad at playing football," continues Gunnarsson. "Up until the age of 19, you can train as much as you'd like. A 19-year old who is not that good at football can still train five times a week and do physical training five or six times a week, which is unthinkable in any other country. You'd have to be in an academy and be a really good player." That accessibility bleeds from youth programs into its top ranks. Due in part to the country's relatively small population, the highest football division in the country, the Men's Select Division (Urvalsdeild karla), is a semi-professional league. It nevertheless acts as a breeding ground for many of Iceland's top players before they leave the country to seek better economic fortunes abroad. The lack of financial compensation is a reality with which those within the Men's Select Division have long come to terms but it hasn't prevented them from producing capable players. Take Gylfi Sigurdsson, for example. The 26-year-old Swansea City midfielder, known for his tremendous ability from set-pieces, presents a vast difference from the long-held stereotype of rugged Icelandic defenders. He spent some of his early career with Breidablik, one of the country's top sports clubs before moving on to the likes of 1899 Hoffenheim and Tottenham. Sigurdsson progressed through the Iceland Under-19s and Under-21s squads into the senior team and was key in their Euro qualification campaign, scoring three goals in two matches against the Netherlands to help eliminate the World Cup semi-finalists. While an Icelandic player might begin his professional career in the Men's Select Division before going abroad to play, that period of time in the Urvalsdeild karla while training in the same public training grounds as the country's youth is crucial to Iceland's football culture as a whole. "The atmosphere itself at the clubs is very conducive to success," Dadi Rafnsson, director of coaching for the youth program at Breidablik, told Goal. !As a young kid, you can see older players that have gone on to play for national teams. You can see them, touch them, train with them. It's inspiring that they can actually go forth with these players.! Throughout his career as a coach in Iceland, Rafnsson has amassed an in-depth understanding of not only the realities and challenges of producing players in an isolated environment but also the fundamentals of Icelandic football. For Rafnsson and others within the Iceland football ranks, they've turned the supposed handicap of a small population into a weapon; the relatively small disconnect between the youth and professional ranks only further inspires children to success. "When you have it in front of you, it's quite easy to imagine that you can be there yourself one day," he says. The young players of Iceland cannot get there without proper training, though. Gunnarsson is quick to point out how Iceland's approach to youth coaching is as fundamental to the national team's success as anything else. In Iceland, young players of any skill level will likely be trained by a coach with a UEFA B license. Gunnarsson says that even his four-year-old son could be taught by a coach in possession of a UEFA A license, as well as a Physical Education teaching degree. Coaching licenses are easy to obtain in Iceland as, unlike in other countries, the KSI makes these courses available to nearly any coach who is interested in attaining them. Sigurdur Ragnar Eyjolfsson, formerly the head of coaching education in Iceland, told These Football Times that, when the country overhauled their coaching system, "it was paramount to run the courses without a view to a profit, that nothing was added on top of the fee." In 2003, according to the KSI, no Icelandic coach had completed their UEFA B license but, beginning in 2004, when the first coaches graduated, the focus towards promoting strong coaching from within the country emerged. 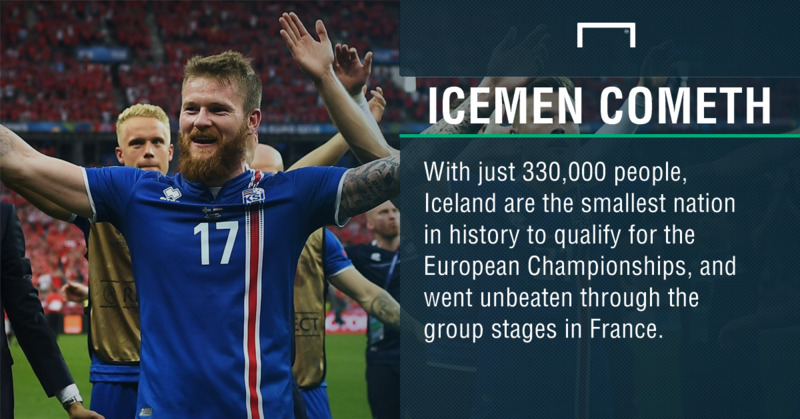 Since then, Iceland have enjoyed a startling rise. They are currently ranked 34th in the world by FIFA, their second-highest-ever rank and up from 50th in 2000 and an all-time low of 112th in 2010. What's more, the roots of football culture within the country have become that much stronger. "The kids get great experience from the training sessions, which helps them to start loving the game," says Gunnarsson. "If you start loving the game, you start playing it outside of organised training sessions. That's the important thing." Gunnarsson estimates that it takes just eight months for anyone in Iceland to attain a UEFA B license, although that doesn't mean that the education isn't of a high quality. As with every other facet of football in Iceland, the cultural values of the country are reflected on the pitch. "It's cheaper than in other countries," he says, listing the cost for a UEFA B license at €770 (£613). A 2013 ESPN story stated that the cost for a UEFA B license in England was £990 (and could cost as much as £2450) while the cost in Spain was €1,200 (£955). "Ninety-five per cent of the courses are in Reykjavik so everybody gets the same teachers as well," he says. What may seem like an overly simple approach has been on display for the world to see, with the culmination a last-16 clash against England in Nice on Monday evening. 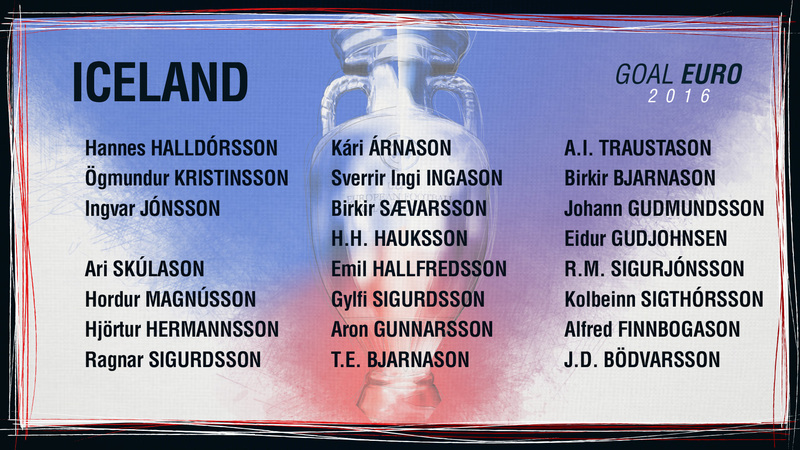 In an age of excess within football, Iceland's approach remains an outlier. Their mpressive results at the Euros, however, may prompt other smaller nations to copy Iceland's model for success.